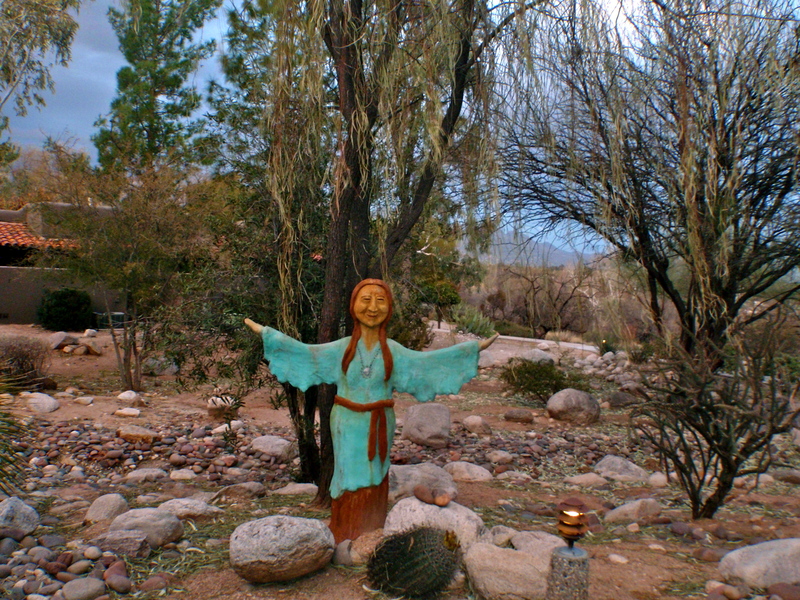 Adventures with maman to Phoenix, Sedona and Canyon Ranch Health Retreat. I like writing when I travel. And so I do. 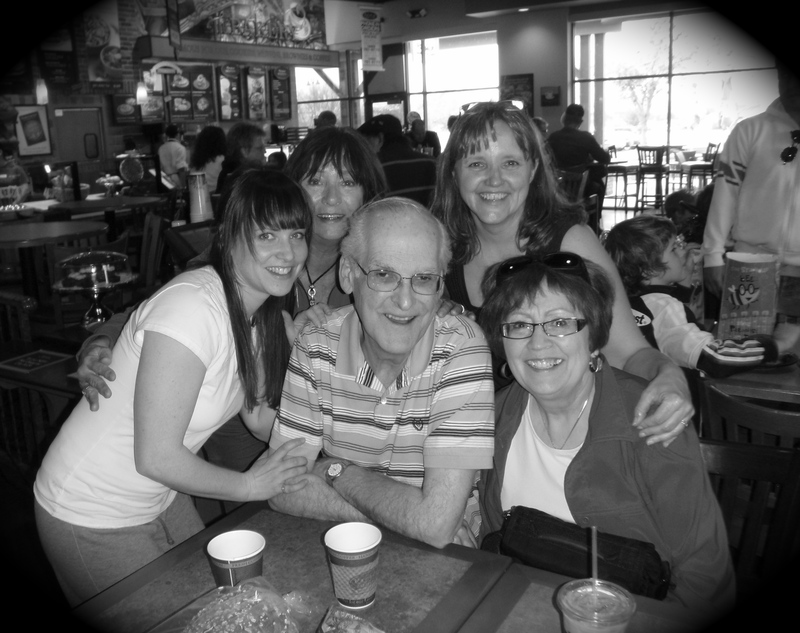 An aurevoir-family-rocks picture in a friendly cafe in Phoenix before we headed out into the sandstorm. I love these people! Whoa crazy start to our day! There was a sandstorm of sorts blowing tumbleweeds across the highway as we headed to Tuscon from Phoenix. We were a living video game as we avoided these big rolling weeds amidst the blowing sand. Then there was the getting lost on rural roads with the non-detailed map, missing our befriended TomTom from yesterday. We ended up looping for an hour. Topping this off was trying to get on a busy highway when there were no breaks in traffic to merge. We made a go for it and half the car was stuck on gravel. Somehow my mom pulled through. Whoa. Crazy. We then arrived to beautiful sunny Tuscon to the most luxious health reatreat ever: Canyon Ranch. It feels like the posh hotels I stayed at with my cousin Lisa in Paris and London a few years back where we had a butler and chocolates left on our pillows every night (the only thing missing here Lisa is TV audio in the shower). This is what welcomes us outside as we step out of our place at Canyon Ranch. The all inclusive food is broken down with the number of calories, carbohydrate, protein and fiber, the menu ought to with a calculator. Although the diner was good it certainly was not a Cholcolatree meal (yes I’m trying to let this place go, it’s just really hard). The activities here are plentiful and are of course all health related although there are a few art related activities too. My schedule for tomorrow: 4 classes of yoga (love!) and a workshop on how to care for my hands and feet (so they are pretty and healthy -there should be much intonation used here). I have to admit, there this uncomfortable feeling in my stomach about taking advantage of such a high-end place. It’s almost too much. Does this “too much” take away from those who have “too little”? It brings up a lot of stuff to the surface, political moral stuff of course. Do I even dare whine about this? At the same time I feel this grand love for my mom and appreciate this invitation -txs for helping me feel better about this mom! She’s been talking about starting a health retreat of her own some day. Perhaps this shall be great inspiration for this (she’s reading their book on their history behind this retreat as I write). Perhaps this experience will lead me to learn great things and I will be able to share this with others upon my return. Perhaps I shall leave a healthier and better person. Yes, yes, that’s it, this experience is suddenly justified. Titbits on Phoenix: Billboards have not invaded this city. There is no grass to cut, just rocks to maintain. There are no potholes, none. The people are generally friendly, just not so much in their cars.